He started his social life on 1979 as All Assam Student Union (AASU) activist of Kakapather Anchalik Committee. From 1979-87 he worked in different post in undivided All Dibrugarh District Student Union & Tinsukia District Student Union. In 1987 he became Central Executive Member of All Assam Student Union. 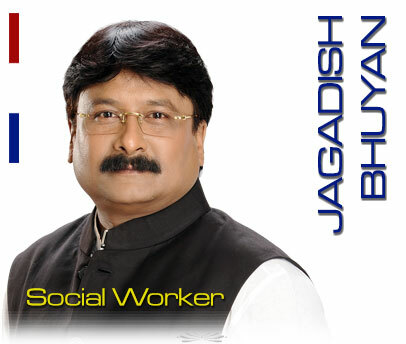 He worked as Financed Secretary & Vice President of AASU Central Executive Committee. In the year 1992 he became Member Secretary of National Student Co-ordination Committee and worked in this post till 1994. This organization was formed comprised of All Assam Student Union, Sikh Student Federation, All Arunachal Pradesh Student Union, Naga Student Federation, Mizo Zirloipoul, Tribal Student Federation of Tripura, All Manipur Student Union, Khasi Student Union, Uttarkhand Mahasabha, Uttarkhand Student Front & Panther Student Organization, Jammu & Kashmir. The said organization worked for restructuring of Indian Constitution and mobilized public opinion in favor of strong federal structure of union of India along with all regional student organizations of the country. During 1991 to 1995 he worked against violation of human rights.